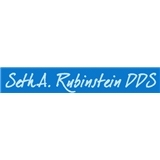 Rubinstein, Seth (Wood Ridge) - Book Appointment Online! He is a remarkable dentist and I would recommend him without reservation! Also his staff are courteous, friendly, and accommodating.